This is a dream I had this morning, November 27, 2018. I was at a library with my daughter and grand-daughter. Not sure where what library it was…never seen it in real life, but it felt familiar. Well, I’d turned it in, but then decided I wasn’t done with the book, and wanted it back to re-check it again. But, I couldn’t find it. I went to the shelf where it was supposed to be usually, but it wasn’t there. 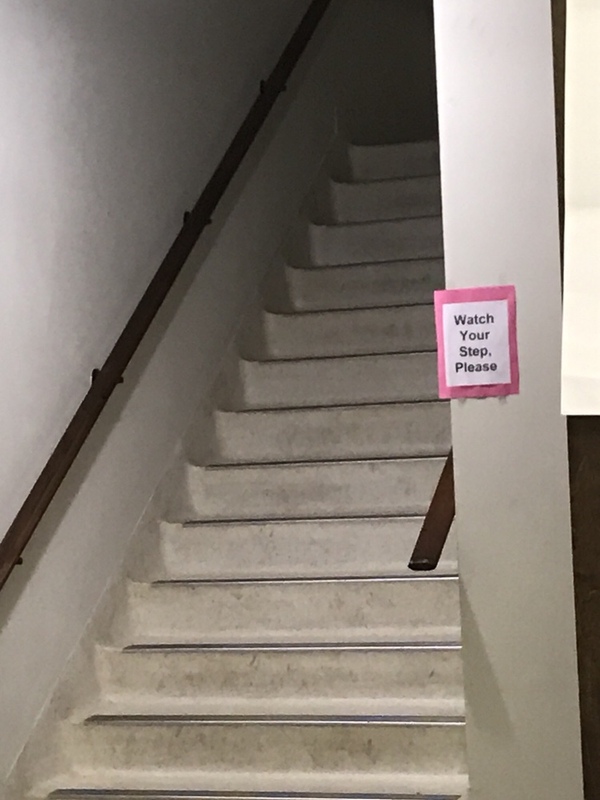 I looked all around, but nope, not there anywhere. So, I asked the librarian about it. They said it had already been transferred to their other library across town, and I could probably find it there. So, we went over there. For some reason we were walking in this downtown area that may or may not have been a real place I’ve seen before. I get the feeling I’ve had dreams about this downtown before. There are tall and old buildings, empty sidewalks, it’s cold and gray, and the wind is blowing. It’s kind of dark and spooky, but still day time. It’s just the buildings, and being in the shade of them that makes it that way. Well, we finally get to the other library, and go down a cement ramp to get to the door. Just as we get there, a guy comes out pushing a library cart with books on it. He’s actually the guy who does the story time thing for kids at the library (a real person I’ve seen before). I say we were going in just for a minute to find that book I was looking for, but he says they are closing already. Since he was sort of a friend ? he says he’ll let us go on in, but just for one hour. So we do go in, while he busies himself in the office with paperwork. I look at all the shelves in this library, and finally, finally find the book, and take it from the shelf. Yep, it’s the one…’Dare to Dream’. It’s the same pink cover and everything. That was all of the dream, but somewhere in there, and I don’t know why, my grand-daughter was sitting in a high-chair. There are 2 books that I just have to read and have re-read every Christmas season. I dig them out of the far corners of my bookshelf, and can’t wait to start reading them again. I mean, it’s been a whole year since I last read them. I haven’t gotten tired of them, even though I know what they are all about. Here are the 2 books. They are both a lot of fun to read. Both of them are laugh out loud funny, too. First is, “Skipping Christmas”, by John Grisham. It has also been made into a very good movie, which I’ve seen, starring Jamie Lee Curtis, and Tim Allen. 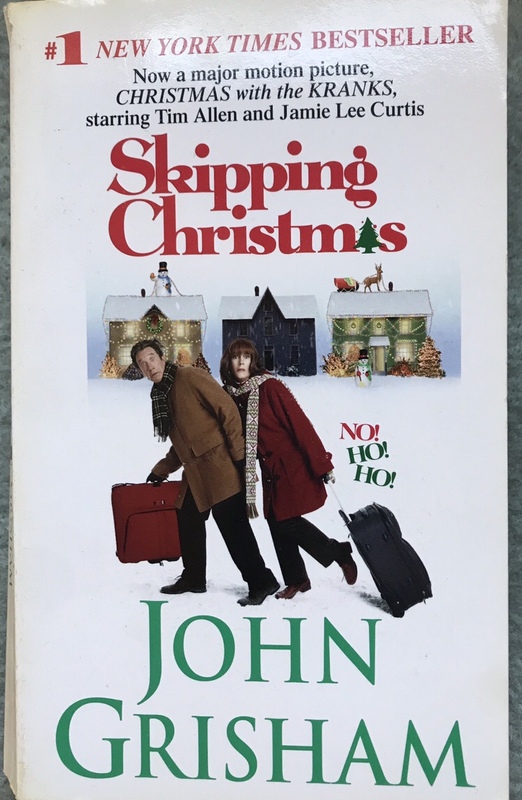 You may have seen the movie, “Christmas With the Kranks”, which follows the book very well, but as with all books made into movies, there’s extra fun in reading the original books. 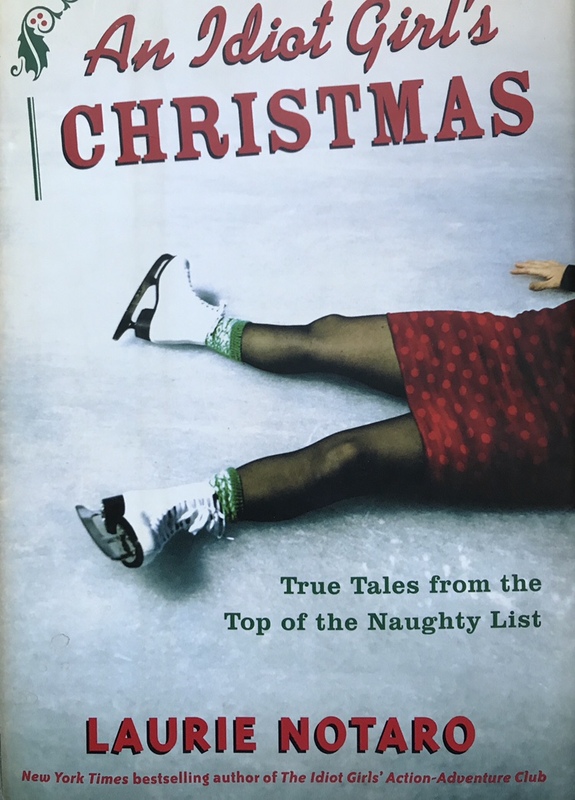 The next one is, “An Idiot Girl’s Christmas”, by Laurie Notaro. She’s one of my favorite authors, as I’ve read all her books, and this one is just as good. She writes short essays of her true life adventures, and they most all have a humorous take on her life. This one is all about the funny things that happen at Christmas time. This is where we let it all hang out on Saturday…the SOCS. 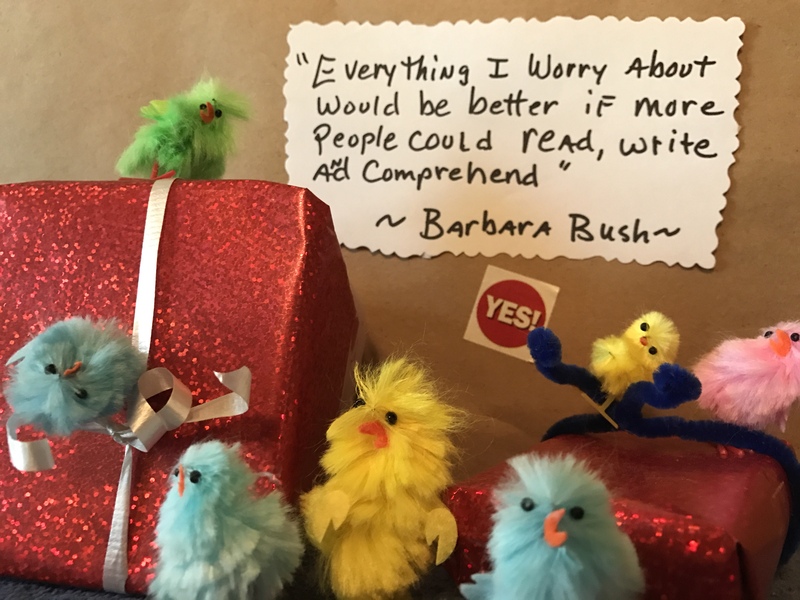 Linda gives us a suggested prompt to write to, and we can take it in all kinds of fun, informative, and weird directions. Join in, why don’t you. The link to the details are above. Thanks, Linda! First question? Which book? Any book? The book we’re currently reading, or a favorite book, or hocus-pocus just grab something from the bookshelf? I thought about it for awhile, and picked 3, because 3 is the magic number, right? You get 3 wishes, you turn 3 times, 3 on a match, bad/or good things come in 3s, and so on. So…three (3). …page 141 – (ooh 1+ 4 + 1 = 6 & 3 + 3 = 6) – The forest was silent, except for the electric hum of some nearby insect’. My conclusion is that all of these were picked at random (eyes closed) and all had something to do with the number 3, two were something about trees, woods, forests, and insects, and well, the last one…stairs & textbooks. 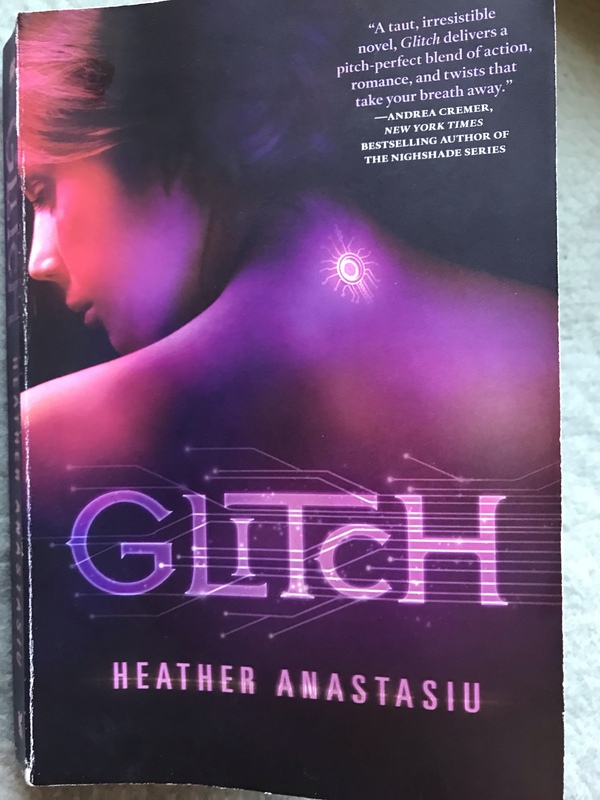 And, I got the last book at the library book sale recently, and we had to go down the stairs to the basement part of the library where the sale is held. Along with all kinds of books, there are also textbooks for sale. Does this have any Point to it? No, but it was fun to see what happened with using this prompt. It was a lot of fun! This post brought to you by the number 3. Just thought I’d show the covers of some books I’ve read lately. They were all really good, in my opinion.I got them at the library book sale last month. 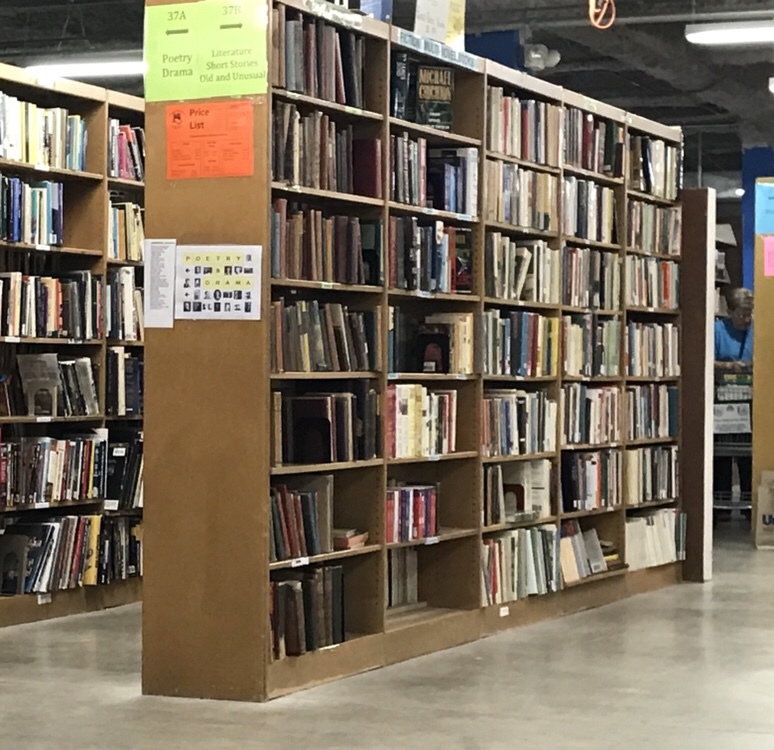 My daughter and I go every year, and find lots of good books at bargain prices. These are maybe classified as YA young adult, or teen? I don’t know, but I do like reading these kind of novels. All three of these have sequels to them, so I need to find them pretty soon. I do like reading a series, if the books are good. I never know if the next ones in line are going to be as good as the first one, but I always hope so. I hadn’t heard of these authors before, but will read more of their books, if possible. Do you like reading a series by the same author? 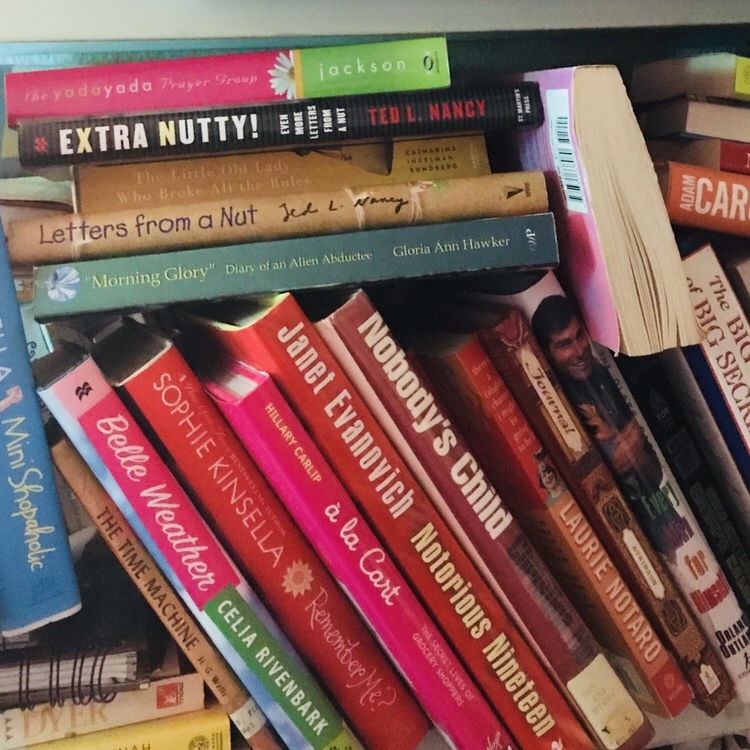 I have 4 bookshelves in my bedroom, and all are jam-packed with books of all kinds. Lots of them are pink! How about you? Do you like to read the ‘pink books’? 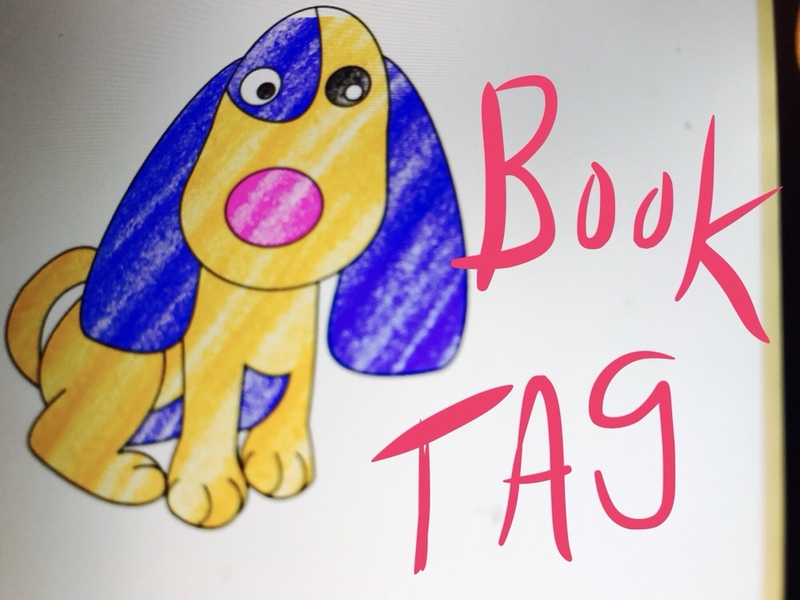 So, I saw these book tag questions over at Orangeowldiaries, and they sounded fun. Thanks, Tabby! I haven’t passed on a gift book as a new original gift, but I do lend or give books that I’ve read, to others. Probably, by mistake. 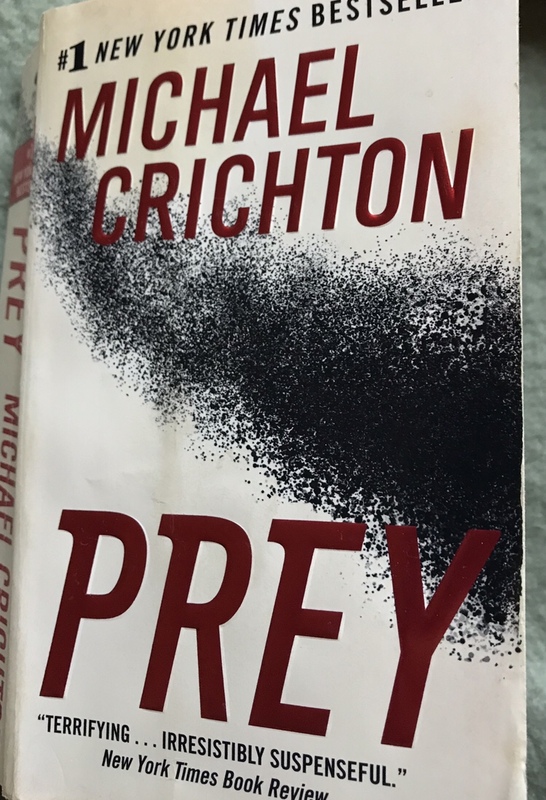 I might have forgotten that I didn’t read it, especially if it is similar to others I’ve read. Yes, if they say they don’t want it back. Also, I’ve borrowed books from the library, then lost it, so it didn’t get returned (I paid for the book, though). Yes, by mistake, or that I just couldn’t find the first one. Lots of times the next book in a series will mention what happened in a previous book, so you can tell what happens first. I hope not, but sometimes they want you to tell them all about it, before they read it. Yes, I used to do this all the time with my own books (not other peoples or library books). I now use a book mark. I don’t write in books, either. I don’t think so, at least not intentionally. It’s the other way around…I might say I do have a book, when I forgot that I don’t have it any more, or I can’t find it. Yes, I do that quite often. When there are so many long descriptions of mundane things, or repeating parts, or it’s just boring. Just get to the conversations! That’s the best part for me in fiction, anyway. I once had a librarian lady, who knew I read a lot, say I read like she does…skip the boring parts. No, why would I do that? If I like a book, I talk about how good it was. Well, that was fun! 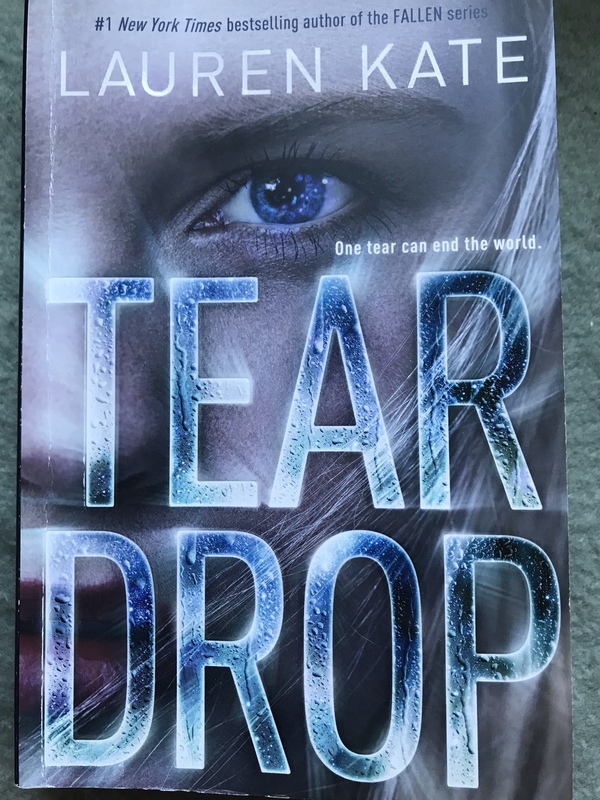 Thanks again, Tabby for bringing this book tag to my attention! Thank you so much to everyone who stopped by for a visit. I sure do appreciate it, and had fun talking a bit about books with you. 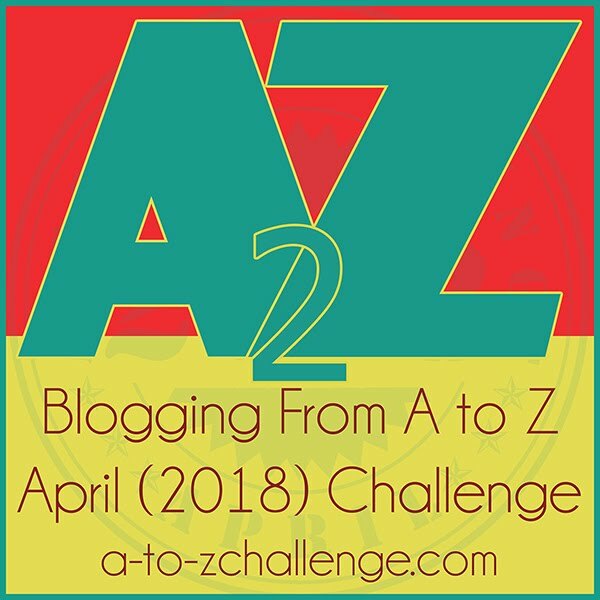 This year, 2018, was the 5th time I’ve participated in the A to Z Blog Challenge. Each year seems to get easier, but all have been fun. I’m so glad I had a definite theme to my posts. It helps so much to know what you’re going to do each day. This time I actually had a few posts ready to go ahead of time..not all the alphabet letters, but when you have some done, then you can keep working on the next ones, and hopefully not falling behind, or needing to hurry and catch up. I had all the books A through Z picked out ahead of time, and also had written down all the quotes I’d be using. 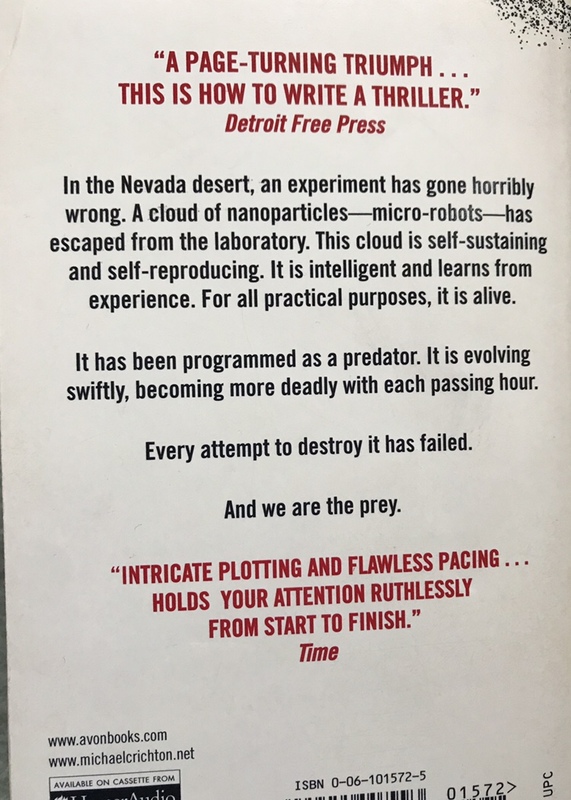 I took the book photos a few days ahead of each post they’d appear on, and as I posted the photo, I’d write about that book. Some of them I hadn’t read in a long time, so had to refresh my memory about them, though. I found I wanted to re-read a lot of them, myself! The books I shared were only a very few of all the books I have around here. There were lots more I could have used for the challenge, but didn’t want to overload my talking about them. 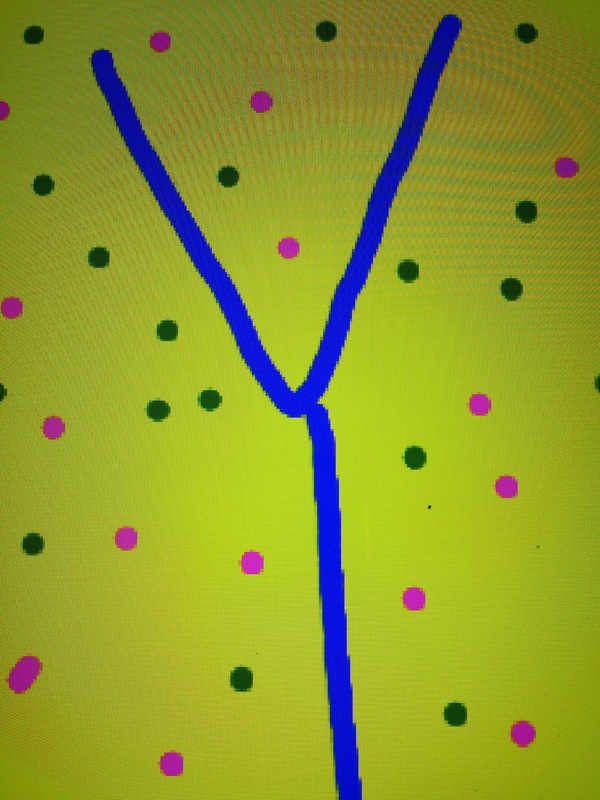 I enjoyed visiting y’all’s blogs, to see what you were featuring for the letter of the day, too. They were all so interesting. Thanks for sharing your fun blogs! I’m trying to remember what I did on the previous A to Z challenges. I know the very first year I did this, I hadn’t heard of it before, and signed up only the day before it started! And…I did it on both my blogs…with no theme to either one! Whew! So okay, no theme X 2 for the first year. All in all, I love this challenge, and plan on doing it again next year! 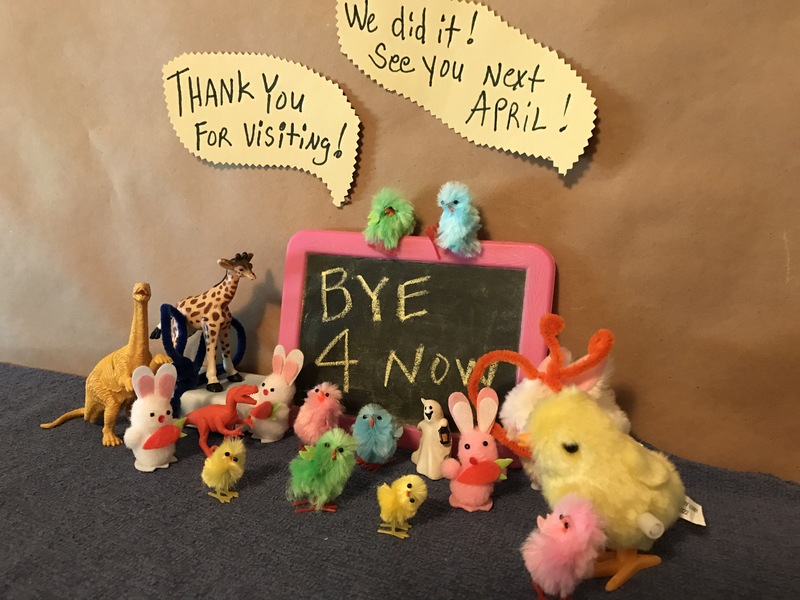 Well, we made it to the last letter in the A to Z Blog Challenge 2018. I’ll be doing a wrap-up/reflection post coming up soon. 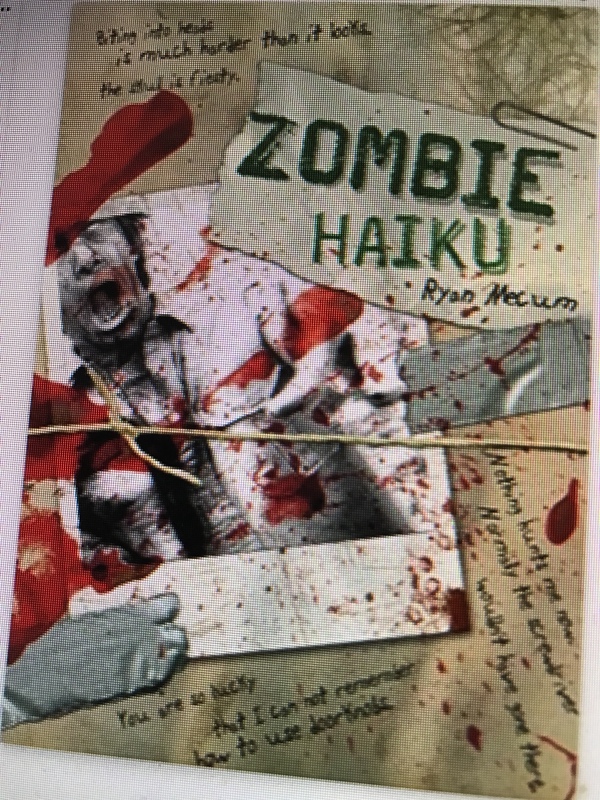 “Zombie Haiku”, by Ryan Mecum, is a really funny and unique book. I sort of have read it. I mean, I have seen it in the book store, and stood there reading some pages, on more than one occasion. 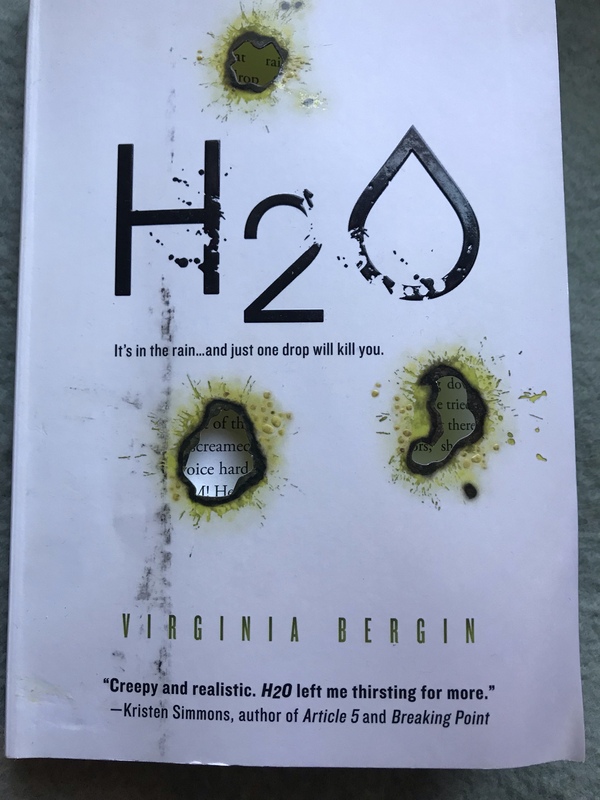 The pages are done in the Haiku poetry form, and tells the story of how the main character first becomes a Zombie, and what happens to him after. Some of it is pretty gross, but funny too, and if you like Zombie stories, you’ll get a kick from this one. I know I laughed a lot while reading some of them. 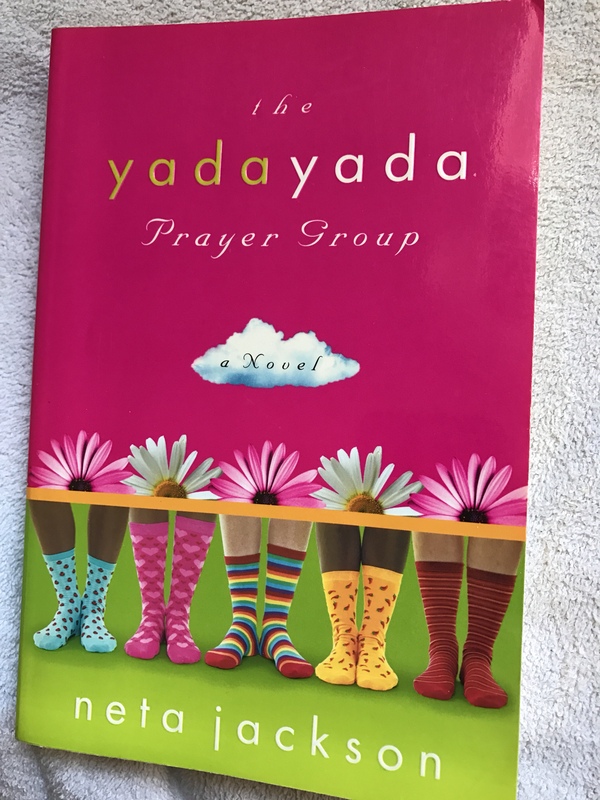 “The Yadayada Prayer Group”, by Neta Jackson, is one I haven’t read yet. I’ve had it a long time, and it looks like a fun to read book, though. It says there are twelve women, from very different backgrounds, and life experiences, who go to a conference, and are assigned to the same prayer group. After getting to know each other, they realized they wanted to keep up their friendship, first by email, then in actual get-togethers. 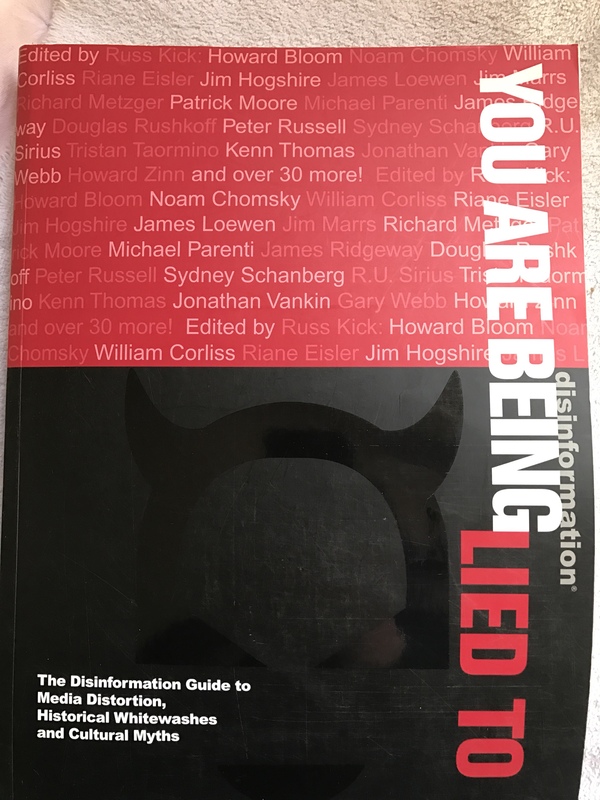 “You Are Being Lied To – The Disinformation Guide to Media, Distortion, Historical Whitewashes and Cultural Myths”, by Russ Kick, is a hard and informative look at what we would now call ‘Fake News’. In the book they tell about the whitewashing and false facts, about all kinds of things, from politics, science, medical, religion, and every day kinds of news and beliefs. It’s astounding how many things we believe to be true, are just not, at least according to this book. 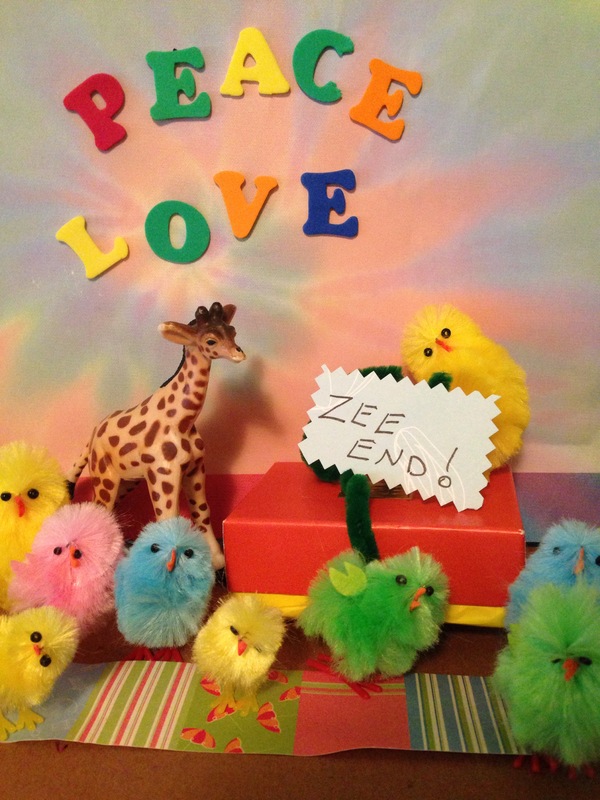 Join the MB Chickens on Monday, for the very last mystery box to be opened. 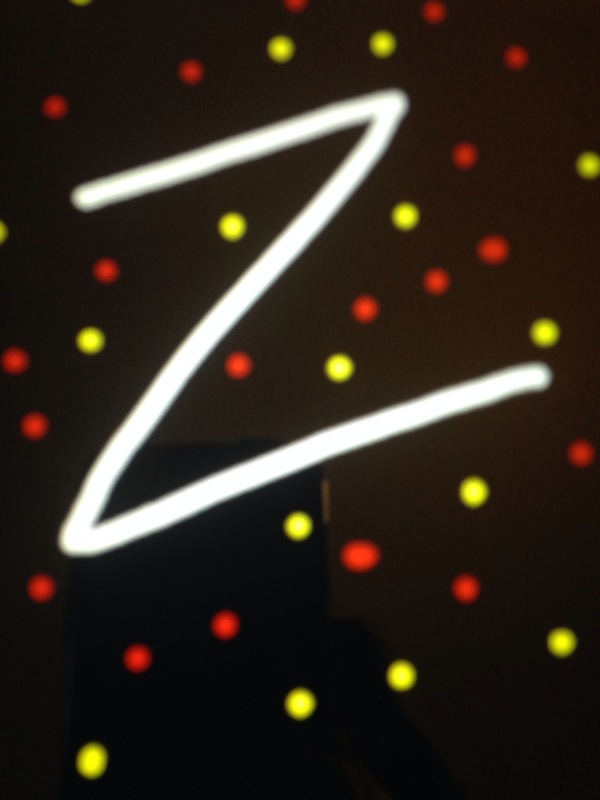 The letter will be Z.